Dixon believes there’s nothing more satisfying than expecting more from something and getting it. 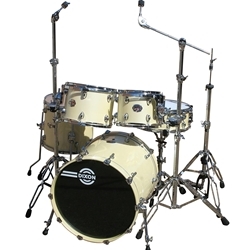 For drummers, the BLAZE series is one of those things...more of what a professional expects from an instrument for less than most sets in its class. Blaze is crafted from North American Maple and Red Silkwood for a balanced foundation giving drummers full control of their sound by responding to the multitude of drumhead options available today.